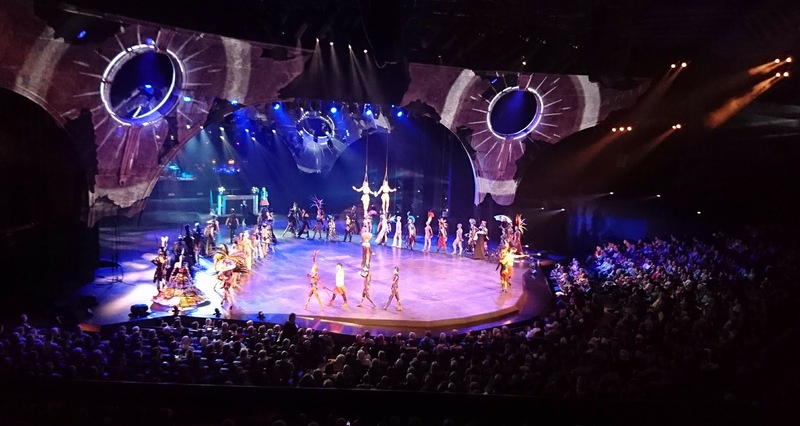 It's an energetic colourful show, a bit similar to Cirque du Soleil performances: music, costumes, dancing and acrobats. It's a story about a dream, so expect the episodes to be quite disconnected. I found it hard to understand the story line, but the performances made up for it. A couple times there was too much singing (almost like sitting in some singer's concert). Overall it's great entertainment and worth seeing. Don't worry too much about seats - we were almost all the way at the back (R2, Seat 14), and the view was still excellent. Make sure you eat all your food from the bar before going in - none is allow in the seats.